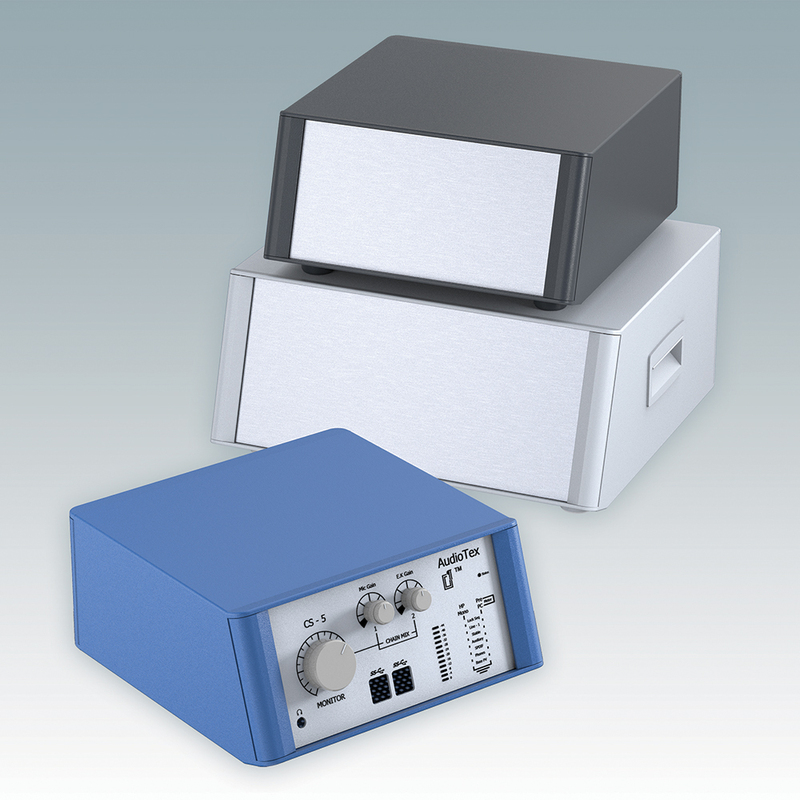 METCASE has launched a new sloping front version of its advanced TECHNOMET desktop instrument enclosures. TECHOMET SL is designed for applications including medical and test and measurement. The new SL model’s front bezel is inclined at 18 degrees for a perfect viewing angle of the controls, displays etc. Extruded snap-on trims at the front and rear cover all the front panel and case fixing screws. A single PCB can be installed on four pre-fitted M3 pillars in the base – or multiple PCBs can slide in on clip-in anti-vibration guides (accessories). The front and rear panels are recessed to protect switches, connectors, displays and keypads. TECHNOMET SL is available in three standard sizes: 100 x 225 x 230 mm, 125 x 275 x 285 mm and 150 x 350 x 320 mm (which features side grip handles as standard). METCASE can supply TECHNOMET SL enclosures fully customised.